Magnesium deficiencies are present in healthy populations thus it behooves every healthcare practitioner and doctor to become fully familiar with how to use magnesium oil, which is the best most versatile form of magnesium. How to use magnesium oil? When one floods the body with magnesium chloride, one can choose and combine multiple avenues of administration. One can take magnesium orally, transdermally on the skin through direct application or using it heavily in medicinal baths, and one can nebulize it directly into the lungs. Magnesium can also be administered through intramuscular injection or intravenously during surgery, heart attacks and stroke. There is no replacement in the pharmaceutical world for magnesium and in fact, most pharmaceuticals leave the patient more deficient thus needing even more magnesium. Practicing medicine without magnesium is not a good idea. Magnesium oil is magnesium chloride and is one of the most powerful medicine/medicinals in the world. It is also the purest coming as it does from 1,500 meters underground Europe from a trapped seabed hundreds of millions years old. Surgery is certainly safer when magnesium is used before, during and after operations. Though the above magnesium oil product is sold primarily for transdermal use, it should be clear that it is the purest product that can be used for all applications. 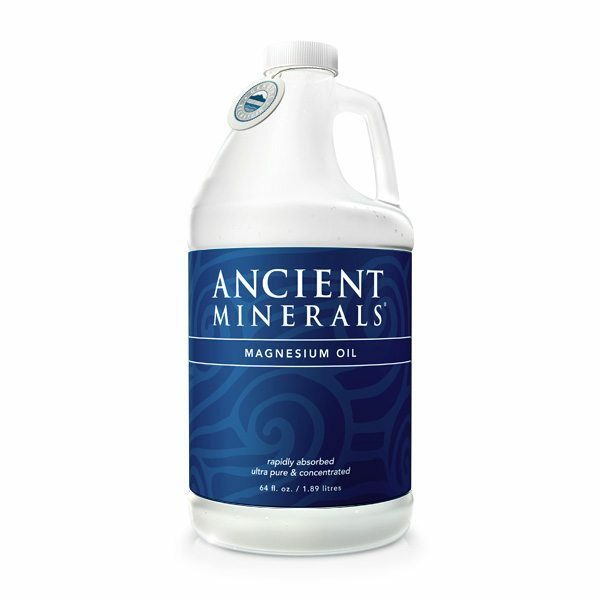 Magnesium oil is oily but there is no oil—it is approximately 35 percent magnesium chloride. Oil is the right word though, not only because you can use it transdermally as a lubricant to transform simple massages into a medical treatment – for cancer and all other patients, but also because it acts as an oil for almost all physiological processes in the body. What oil does for an engine magnesium oil will do for your health. Magnesium chloride is also an extremely versatile medicine. It can be used intravenously, nebulized directly into the lungs; it can be put directly on the skin, used orally as a laxative and orally for general intense use. There is nothing like getting a massage with magnesium oil and breast cancer or fibroid patients can apply it on their breasts many times a day for great effect. Moreover, magnesium chloride in bath flake form (or Epson or Dead Sea Salt) can be used in baths with sodium bicarbonate for strong medicinal effect. Transdermal magnesium therapy is ideal for pain management. The combination of heat and magnesium chloride increases circulation and waste removal. The therapeutic effect of magnesium baths is to draw inflammation out of the muscles and joints. Magnesium chloride, when applied directly to the skin is transdermally absorbed and has an almost immediate effect on pain. As an alternative to baths, especially for patients who cannot get into them, is to use a Biomat while getting a massage with magnesium oil (or gel). What better way to reduce or eliminate pain then by simply taking a therapeutic bath or rubbing magnesium chloride in liquid form directly onto the skin or affected area of the body? From the pain of sports injuries to low-back pain and sciatica, headaches, relief from kidney stones, the pain of restless legs, arthritic pain, and just about every painful condition imaginable—all will in all likelihood benefit from magnesium applied topically. Human skin is like a tightly woven fabric, seemingly impervious but porous at the microscopic level. Through its millions of tiny openings, the body oozes sweat and absorbs substances applied to the skin. 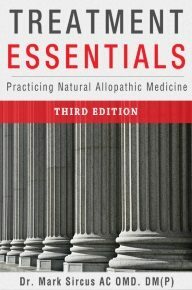 For a topical agent to be effective, obviously it must first be absorbed. The drug must enter in adequate concentration to its proposed site of action to produce the desired response of the skin. This skin is involved in dynamic exchange between the internal and external environments through respiration, absorption, and elimination. It is highly permeable even though it has the ability to maintain its important bacteria-inhibiting barrier with the environment. When using transdermal medicines, applying more of a substance increases the amount absorbed. Penetration will generally stop when the skin is saturated. Absorption into the bloodstream is also increased if the concentration of a substance is higher and if more of the body is covered. Occluded (covered) or well-hydrated skin is easier to penetrate than non-occluded or dry skin. There are many things that affect skin absorption. Absorption occurs by distribution around and through the cells that make up the skin. Some absorption takes place along hair follicles or through sweat ducts. Skin thickness and barrier accessibility are different in various areas so absorption rates will vary in different parts of the body. For example, hydrocortisone (a synthetic preparation used in the treatment of inflammations, allergies, and itching) is absorbed through the skin six times better on the forehead than on the arm, and 44 times better on the scrotum. 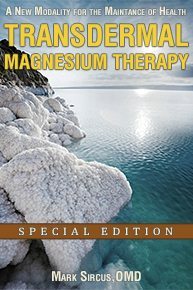 LL’s Magnetic Clay, the company that provides the Ancient Minerals Magnesium Oil that I recommend include the main points discussed above on their website. They also make available a handy and informative guide to the proper applications of their various Ancient Minerals products.